Broccoli Seeds for Sprouting Microgreens, 8 oz Bag, Jacobs Ladder Ent. Brand. A superfood packed with antioxidants and health-promoting nutrients. A small town family run USA business.Thank you ! Product prices and availability are accurate as of 2019-04-24 02:04:30 EDT and are subject to change. Any price and availability information displayed on http://www.amazon.com/ at the time of purchase will apply to the purchase of this product. 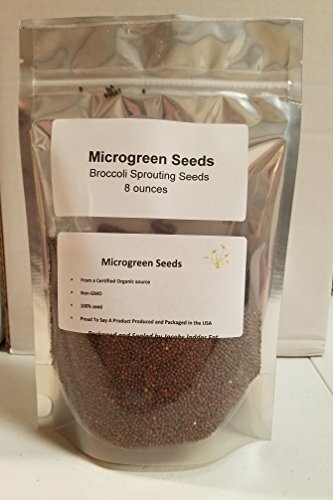 "COOL BEANS n SPROUTS" Brand All about your Broccoli Microgreens ! To reap the health benefits of microgreens, eat them immediately after harvest. Microgreens, like most other superfoods that are consumed fresh, begin to lose their nutritional value rapidly after harvest. 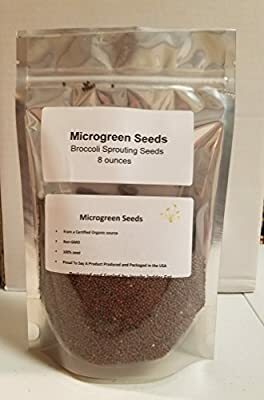 Consider growing your own microgreens at home as this will allow you to decide exactly when you harvest your crop.Another way to boost the nutritional value of recipes made with microgreens is to use extra-virgin olive oil or another healthy oil. 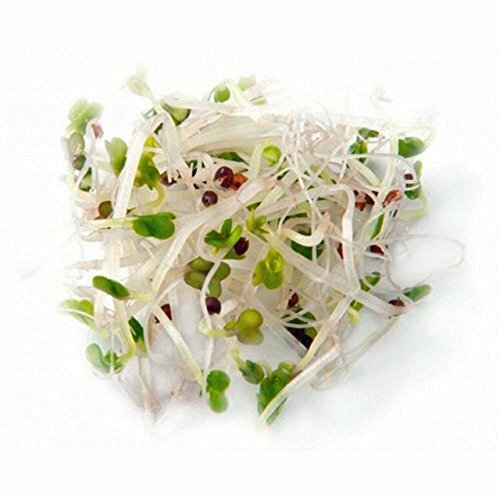 The presence of oil helps improve the bioavailability of the fat-soluble nutrients in microgreens (carotenoids, vitamin E, and vitamin K). Some people use glass jars to grow their sprouts. 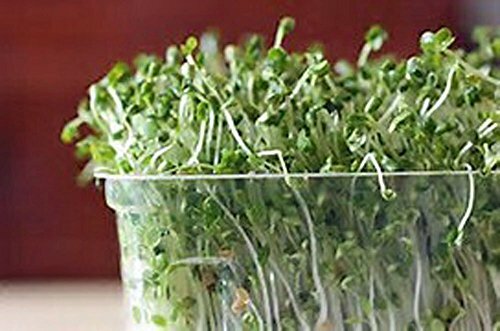 If you already have a glass jar and don't plan on growing a bunch of sprouts at once, you can use this technique and just get a plastic lid that is designed to fit on wide-mouthed glass jars - specifically for growing sprouts. A mason Jar also works. Between "sprouting sessions" you will need to clean and sanitize your sprouting jar. Be careful not to leave any soap or residue in the jar, as this can inhibit the growth of your next batch of sprouts. 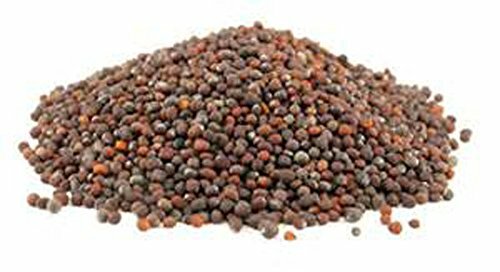 First, soak your seeds in a Vinegar and water solution, for 15 minutes to kill any harmful bacteria. Rinse well and soak the seeds in plain water overnight. The next morning, drain the seeds and place them in a mason jar. There are mesh lids made just for sprouting, or you can just replace the center part of the mason jar lid with cheesecloth or loosely woven muslin to allow air to circulate and excess water to drain. One to Twice daily, rinse and drain the seeds, placing your jar upside down within a bowl or tray to catch drainage. Within about 5 days, you can expect plump and flavorful sprouts. On the last day, place them in in a bright area, (not direct sun), being very careful not to let them dry out. This allows chlorophyll to form, which will cause them to become that healthful green color. God Bless Jacobs Ladder ent.